It’s no secret that many of our pollinating insects are in decline with figures suggesting a loss, over the past 40 years, of around 70% of our native Bee population alone. Research suggests there is no single reason for the decline in numbers although a key factor, as with many other wildlife species, is simply loss of habitat. 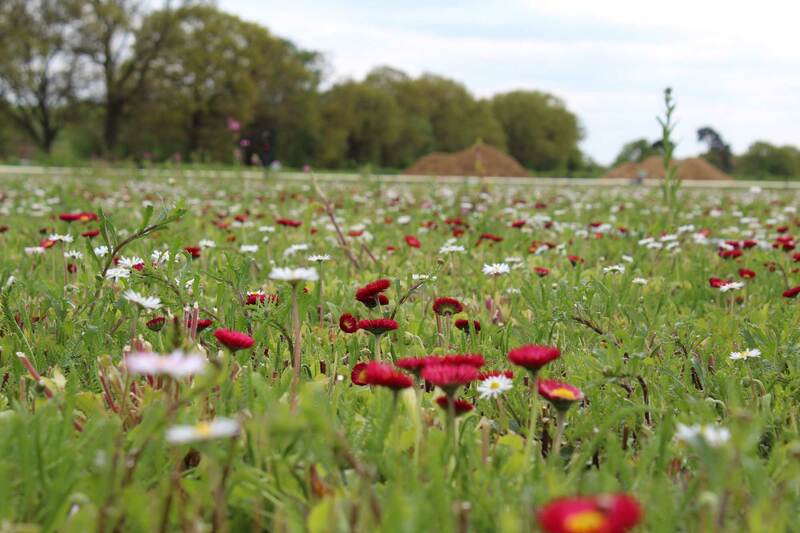 Installing our Wildflower Turf creates an attractive floral display and immediately increases the food source for a wide range of pollinating insects, birds, amphibians and mammals. Every installation of our Flora Turf products, no matter how large or small, contributes towards a healthier and more sustainable environment. 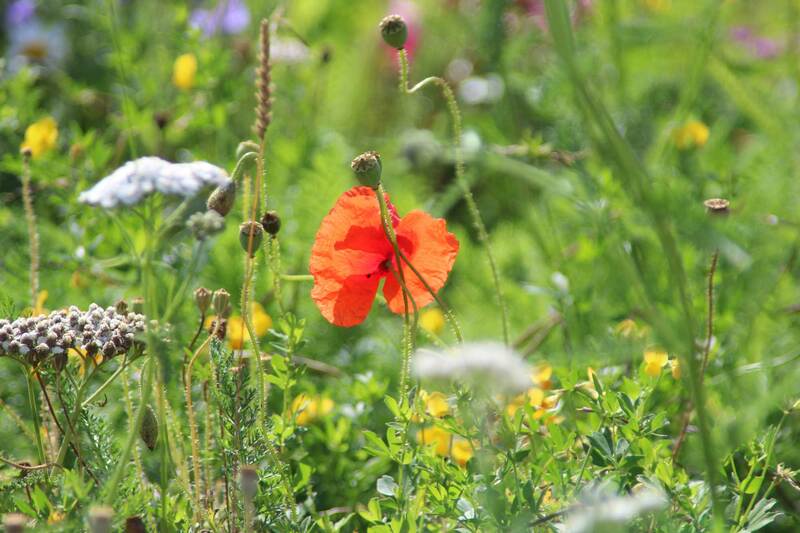 Our Flora Turf contains a bespoke mixture of carefully selected native and naturalised plant species. These plants are already established in the turf and you can expect your newly created wildflower area to mature in a few short weeks. Grown on moisture retentive, degradable, recycled fibre matting which acts as a barrier to suppress any indigenous and problematic broad leaved weeds and grasses. These would very quickly establish and outcompete the more desirable species in most seeded wildflower applications. 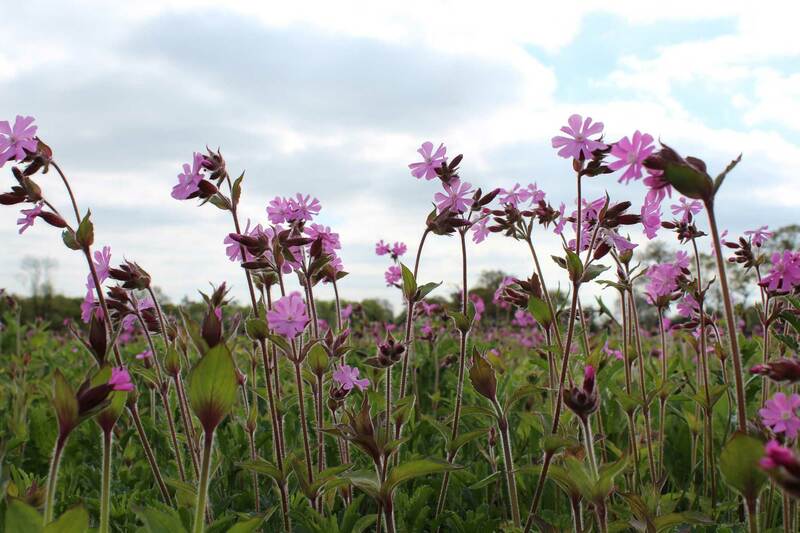 The broad and diverse range of both annual and perennial wildflower species sown should ensure compatibility with most UK and Northern European environmental and climatic conditions. 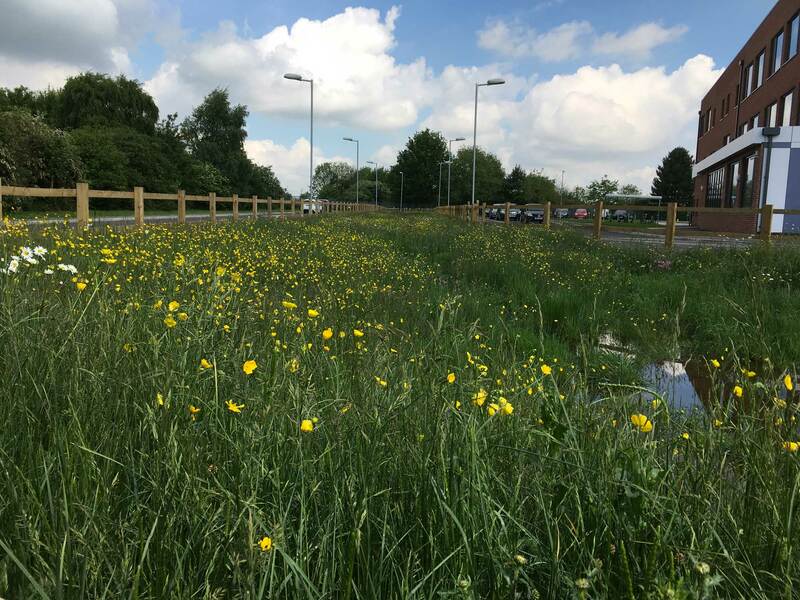 Enhance the biodiversity value of any amenity area, open space or urban environment by attracting a wide range of pollinating insects and other wildlife. 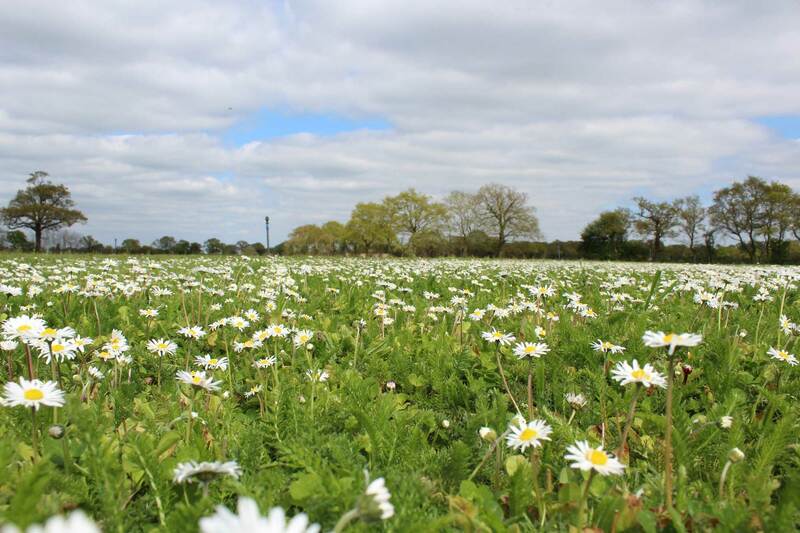 Aid the re-establishment of wildflower species that may be locally under threat. Provide visual interest from early Spring to late Autumn. Cost effective and low maintenance alternative to turfgrass installation. Ideal for use in private gardens and estates, parks and public amenity areas. 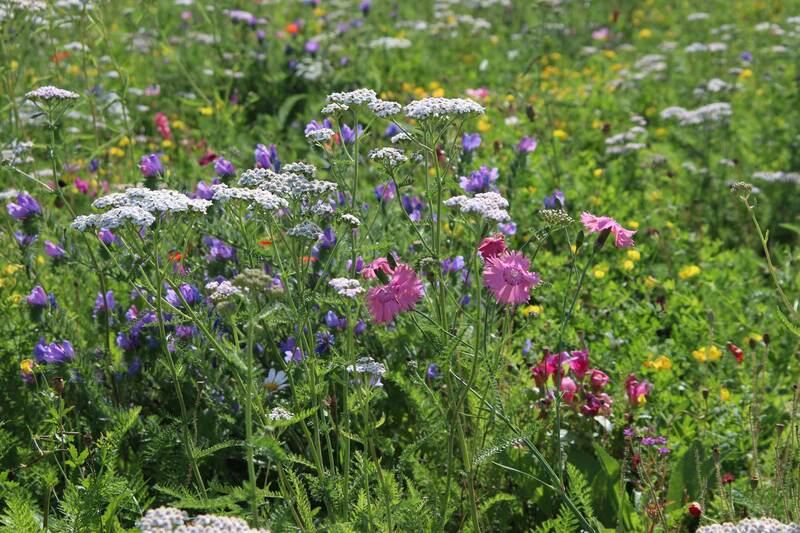 Sown as a 100% wildflower mixture of both annual and perennial species, our Flora Pollinator Plus is the ideal choice when the addition of grasses is not required. 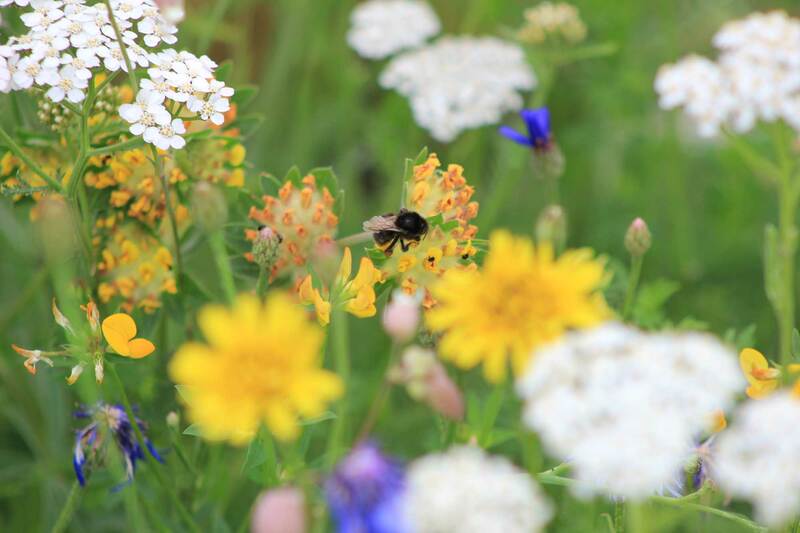 Our premium Flora Pollinator Plus is sown with the same mix of native wildflower species as Flora Pollinator with increased visual interest from the addition of "Naturalised Species". These species, which although not native to the UK, will happily thrive in our growing environment. 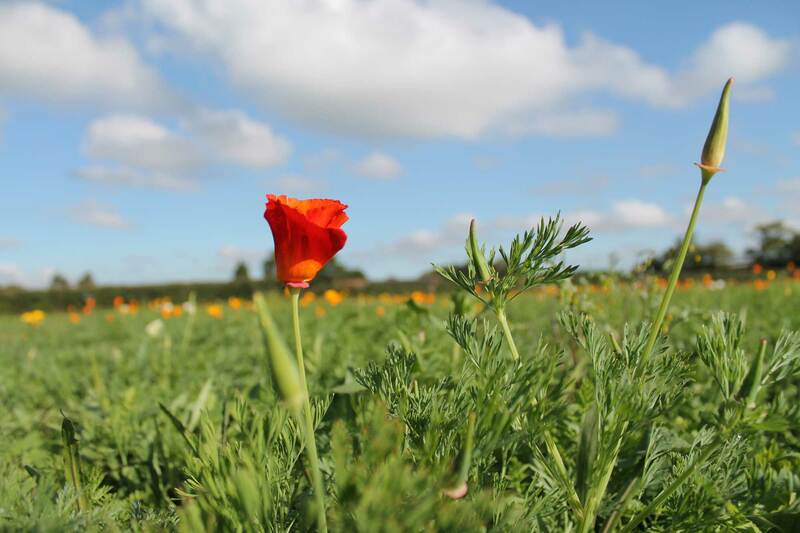 The seed mixture is carefully chosen to give structure and visual appeal throughout the flowering season. 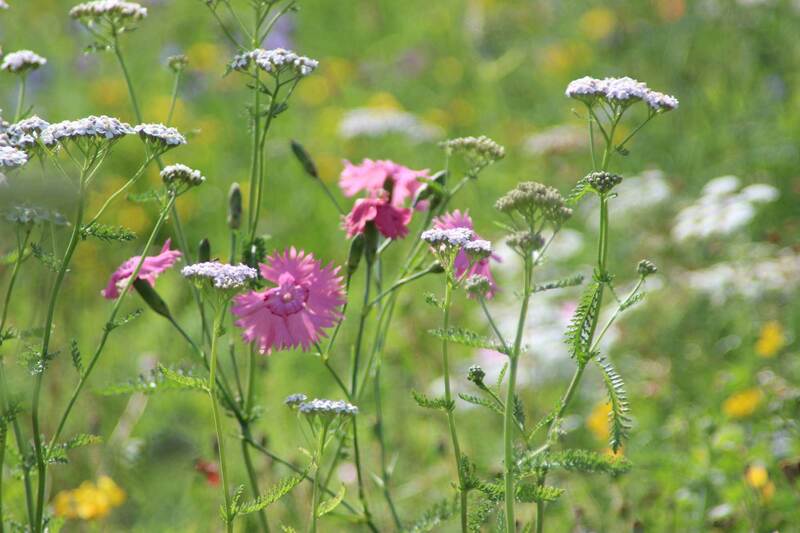 Our Flora Meadow combines both native wildflower and grass species to create a more "traditional" meadow appearance. 20 species of wildflowers and the attractive seed heads of the grasses combine to create visual interest and increased biodiversity. The established meadow produces a vital nectar source for our native pollinators and provides perches for various beetle and grasshopper species. 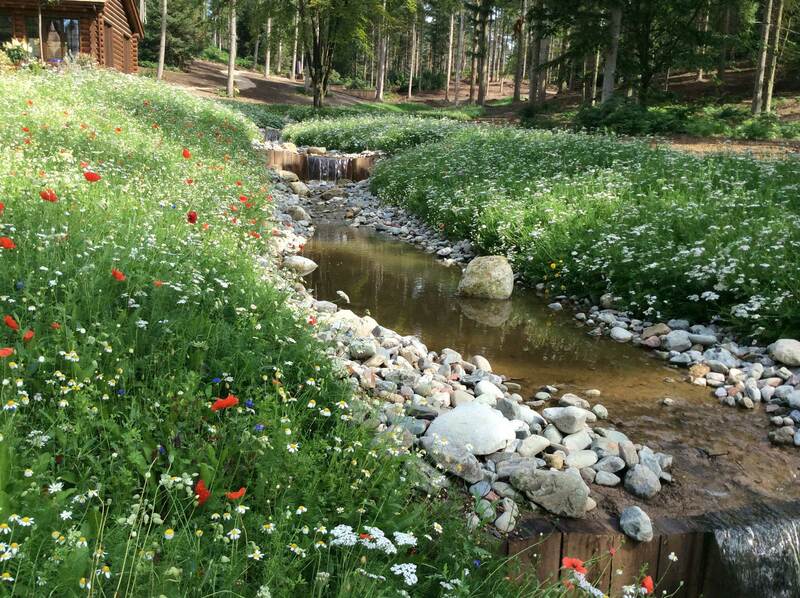 As its name suggests our Flora Aqua is the ideal choice to add biodiversity to any newly created water course banks, drainage swales or areas prone to temporary flooding. The specially selected grasses in the mix reduce water flow and the risks of flooding. Grown on a degradable matting to ensure immediate erosion control. When laying Flora Aqua, we strongly advise the use of Bio Pegs to secure the turf and aid establishment. Ideal for use in SuDS, swales, pond edges and basins, watercourse banks and general landscape. 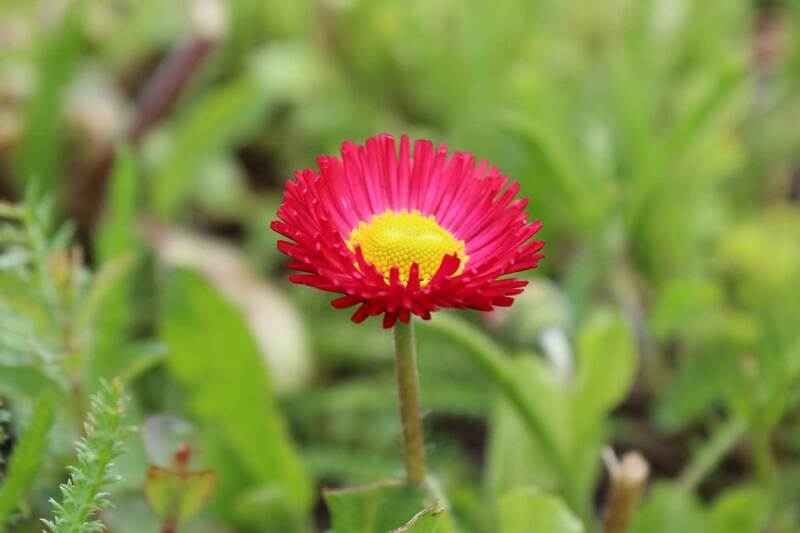 Flora LoGro contains a diverse range of wildflower species with a shorter growth habit and a tolerance to more hostile environments, such as green roofs. With an average height of 50-75cm, lower than our other Flora Turf products, LoGro is suitable for installation on projects with restricted access for maintenance. 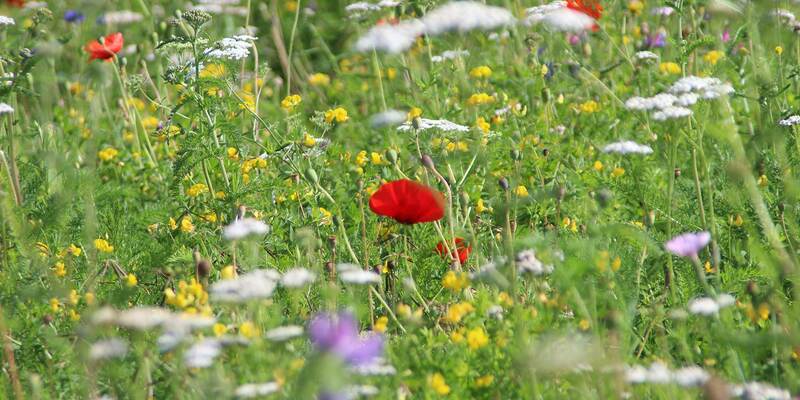 The mixture is sown as 100% wildflowers. Ideal for use in green roofs, private gardens and estates, parks and public amenity areas. 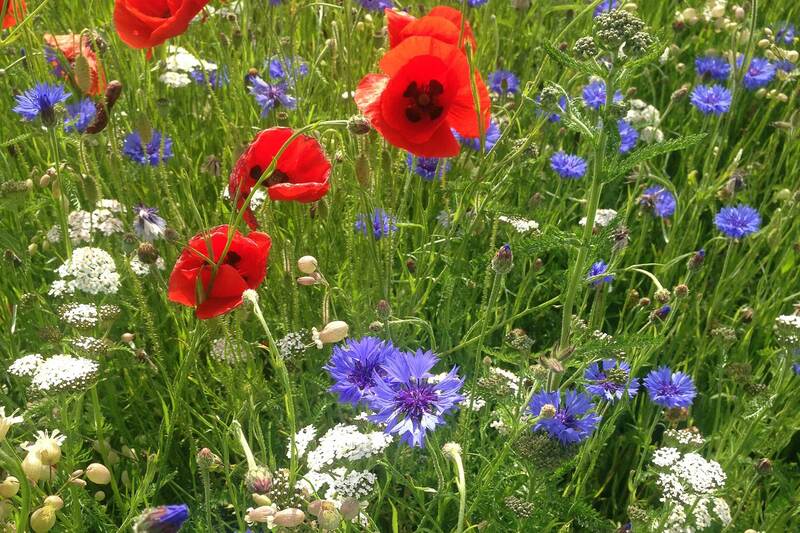 Listed species compositions for all Wildflower Turf products are intended as a guide and may vary depending on seed availability at the time of sowing. Photos on the website are for illustrative purposes only and may not be representative of how the established turf will look in your particular situation.